Manufacturer & Exporter of Video Displays. Our product range also comprises of LED Video Display, LCD Video Wall and LED Display. our range is widely used for various applications like advertising, sports and public service messaging. 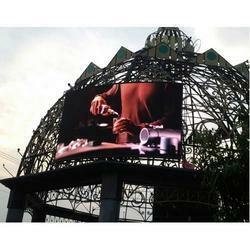 With our expertise in this domain, we are able to offer a superior quality range of Outdoor Video Displays. Latest equipment and advanced technology are utilized by our experienced professionals in the manufacturing process following standards & norms of the industry. Also, we offer customization facility of the offered displays. In order to fulfill the ever changing demands of our clients, we have been engaged in offering a quality range of Indoor Video Displays. These video displays are manufactured under the close supervision of our experienced professionals using optimum quality components. Besides, we make sure that the consignments are timely delivered at clients’ destinations suing easy shipment modes. We are the stalwarts in the domain of manufacturing, supplying, trading and exporting Indoor Displays. Our expert professionals employ latest machines and advanced technology in the manufacturing process following industry set guidelines. The offered range can be customized as per the specifications detailed by clients at market leading rates. Looking for Video Displays ?